Gorham is a southern Maine town located in Cumberland County. 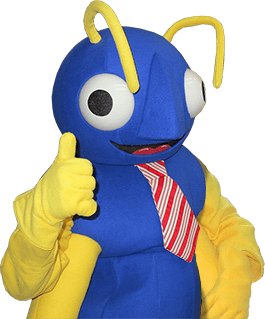 To protect the homes and businesses located in this family-friendly community from local invasive pests, the New England pest control experts at Big Blue Bug Solutions offers effective pest control solutions. Since 1935 we have been serving Rhode Island, Massachusetts, and Connecticut, and recently Southern Maine. To learn more about how we can work together to guard your Maine home or business from being invaded by insects, rodents, wild animals, and more reach out and call us today. At Big Blue Bug Solutions, we are well known for offering highly effective pest control services that meet the needs of New England homeowners. To protect your Gorham home from local pests, we have developed our Home Owner’s Policy (HOP). This program will protect your home from common pests including ants, earwigs, crickets, mice, pantry pests, roaches, stinging insects, and more. Through the guaranteed HOP program, 3 preventative service visits are completed each year. If a pest problem pops up between visits, we return, at no extra charge, to take care of the issue. In addition, we offer our exclusive Blue Glove Service. Every technician at Big Blue Bug Solutions wears blue gloves and blue booties when entering your home, ensuring your home is as clean as it was before we arrived. In addition to our HOP program, we protect homes and people from New England pests through the following pest control services. To learn more about protecting your Gorham home from invasive pests throughout the entire year, call Big Blue Bug Solutions today. To defend people and property from wild animals, Big Blue Bug Solutions offers effective wildlife solutions which include the development of a customized program that is based on your specific needs. Examples of how we humanely remove wildlife from homes and properties include live trapping, exclusions, catch-and-release, habitat modification, and wildlife proofing to prevent future problems. To schedule a free wildlife inspection for your Gorham home, contact Big Blue Bug Solutions today. A visit to your property once a month. Monthly monitoring services and preventative treatments. Immediate elimination (if possible) of pest problems that pop up. Bar Code Monitoring System which provides accurate and effective reports that can be emailed directly to you. In addition to our Monthly Maintenance Program, we provide Integrated Pest Management, pest control insulation, and drain cleaning services to help protect your business and maintain its structure. To learn more about how we can work together to protect your Gorham business from pests, reach out to Big Blue Bug Solutions today. Carpenter ants are a destructive species of ants that often invade homes and other buildings while out foraging for food sources. Once inside they may decide to stay and create tunnels and satellite nests inside your home’s structural wood in order to be near their new food sources. The damage that carpenter ants cause can become quite significant if they are not stopped and professionally eliminated. If you see large black ants wandering in your home or around the outside of it, contact us at Big Blue Bug Solutions immediately. We will quickly come to your aid. Our carpenter ant treatments are effective and backed by a one-year carpenter ant warranty that can be renewed on a yearly basis or transferred to new owners if necessary. To learn more about ridding your Gorham home of destructive carpenter ants once and for all, give Big Blue Bug Solutions a call today.